Human communication, public relations, communication in organizations, media studies. 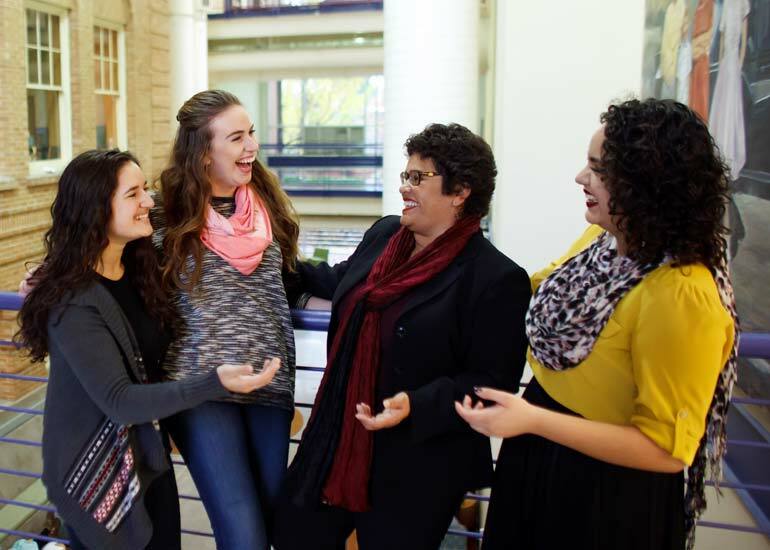 These are among the subjects you may study as a communication major at George Fox University. We take an interdisciplinary approach to communication, so you’ll study in a series of integrated courses that cover a wide range of topics in the field. The result: a marketable skill set that prepares you for a career in communication – whether that be in public relations, human resources, event planning and coordination, law, social media management, or any number of professions that value an effective communicator. And you’ll study in a Christian college environment that integrates faith with learning. 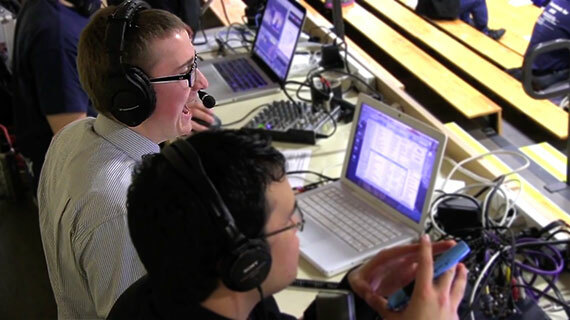 George Fox communication majors have landed positions in digital marketing and analysis, social media management, development and events coordination, and program management. They’ve worked at organizations ranging from Disney and the Refugee Women’s Alliance to Arizona Christian University, Anthropologie, Intel and Bob’s Red Mill. Several of our graduates have worked internationally – in locales such as Romania, Indonesia and China – while others have completed masters degrees in communication fields. Students in the human communication concentration study the relationship between the theories of communication and everyday communication interactions and problem solving. Course work will prepare students for leadership and management positions, and work in nonprofit organizations, politics, human resources, various ministry and parachurch organizations, and other fields related to communications. The organizational communication concentration is the ideal fit for someone interested in the fields of human resources, organizational development, event planning and coordination, consulting, promotions, fundraising or customer service. Within the concentration you will take communication courses that are particularly useful in organizational settings. These are combined with business and marketing or management classes, giving you a balanced education that will prepare you for any number of career choices. Request more information about the communication major at George Fox University or schedule a visit to begin your education at Oregon's Christian university, ranked as one of the top Christian colleges in the nation by Forbes. Careers in communication are expected to continue to grow at a steady rate over the next decade. This is projected result in the creation of over 40,000 new jobs within the field. Employers are looking for college graduates who are creative and familiar with the changing media landscape. As of 2017, the average salary for jobs in communication is $56,340. According to the Bureau of Labor Statistics, employment opportunities for public relations specialists will grow 9 percent between 2016 and 2026. Small class sizes provide one-on-one attention to aid students in success. Multiple tracks give students the chance to specialize their skills and knowledge. Professors and instructors are able to provide industry knowledge from their own hands-on experiences.